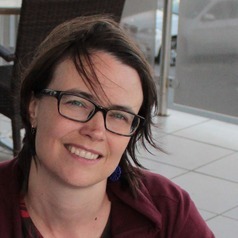 Sara Jewett Nieuwoudt has coordinated the postgraduate field of Social and Behaviour Change Communication at the School of Public Health, University of the Witwatersrand (Wits) since early 2011. She also manages the Wits component of a 5 year project to strengthen the SBCC capacity of the Ministry of Health, universities and civil society in Malawi. Ms. Nieuwoudt is a PhD candidate, completing a mixed methods study on the influences of infant feeding decision-making in the context of HIV. Her research interests include SBCC and research capacity strengthening on the African continent as well as health communication in the areas of infant feeding and HIV prevention. Prior to joining academia, Ms. Nieuwoudt worked on HIV prevention and capacity building programs/studies in Vietnam, the US, and Ethiopia.